Mischieviots has always allowed players to be able to save anytime they want within the game (outside of combat), allowing them to avoid the arbitrary “save point” seen in older RPG’s. 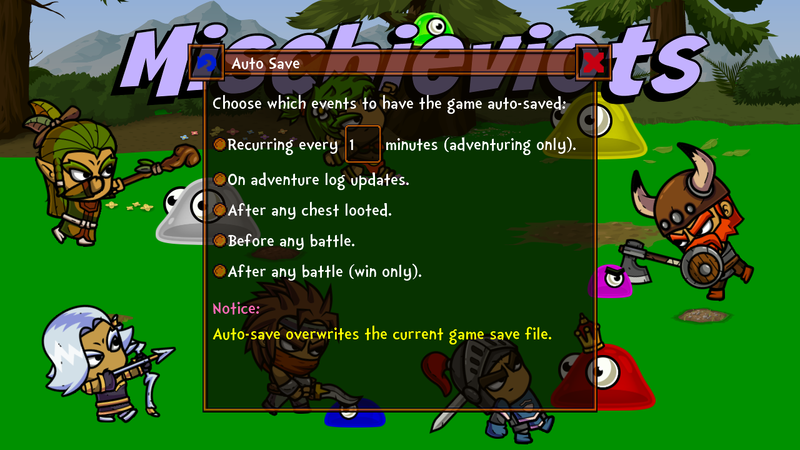 The auto-save is off by default and can be found in the Options section of the game. It has several options for you to pick & choose from (one, some, all) for the frequency of saves you’d like to have. Additional options may be added later, but for now I think this is probably more than enough for most players.